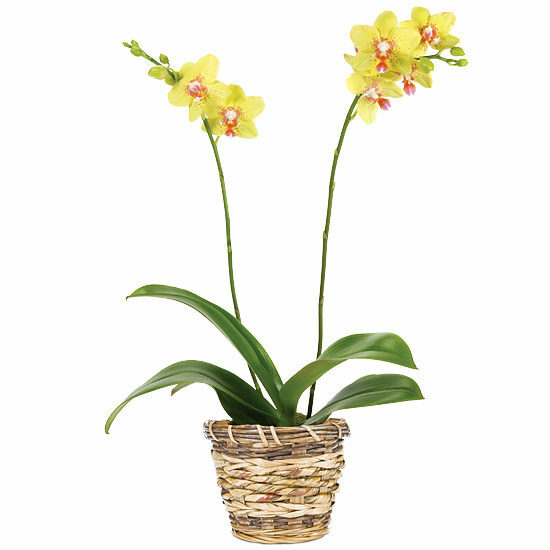 This bright and beautiful sight is what results when the fun of the hot sun meets up with the exotic appeal of everyone’s favorite – the orchid. 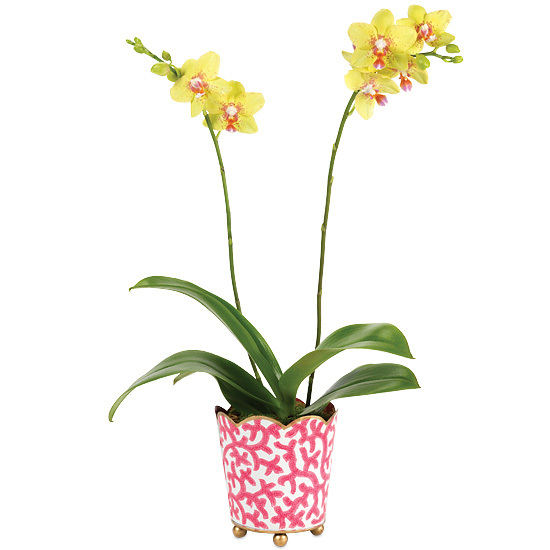 We’ve placed a magnificent phaleanopsis orchid plant touting two tall, multi-blossomed spikes inside our lively metal cachepot, its footed base and scalloped brim touched with gold while its sides are playfully hand painted with an island coral motif. 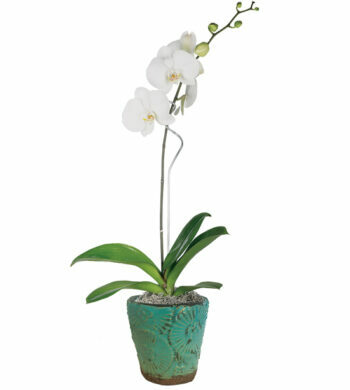 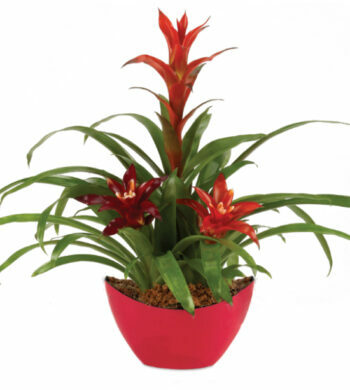 Your orchid which ships in bud and bloom will be hand selected by our grower on the day your order ships and may vary in color.